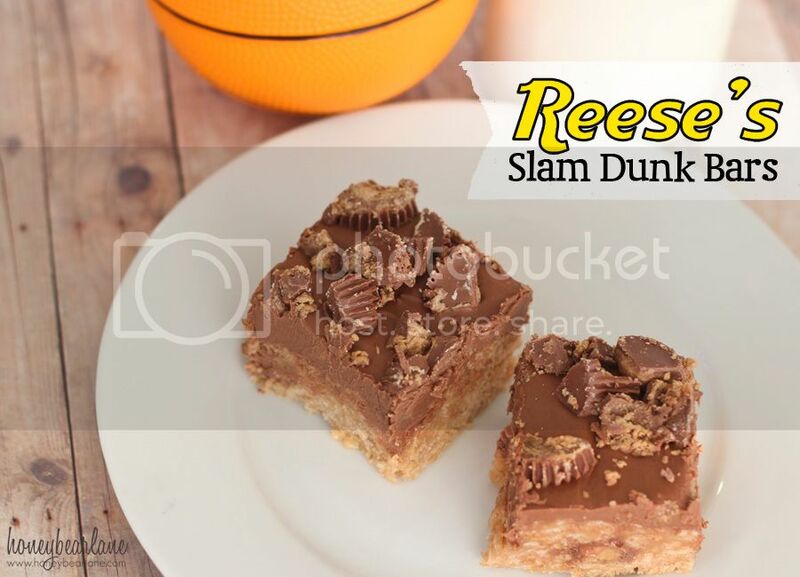 I thought this would be a great chance to use Reese’s in combination with crispy rice cereal and I came up with these Slam Dunk bars. They are super rich and super yummy! If you like chocolate, this is definitely for you. Directions: To start, put the Reese‘s Minis in the freezer. 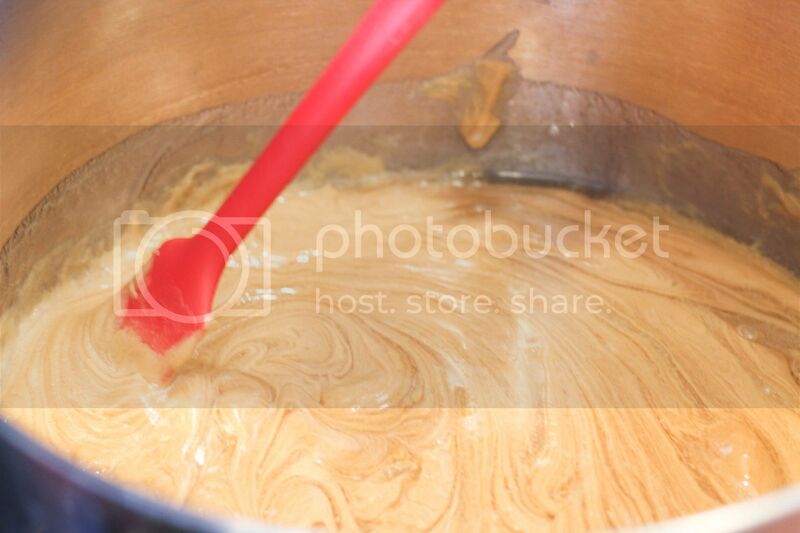 In a large pot on the stove, mix Karo syrup and Sugar until they are a milky color and consistency but not boiling. Then mix in peanut butter until well combined. Turn off heat and mix in crispy rice cereal, a few cups at a time until completely coated. In a well greased 9×13 pan, pour about half of the mixture in the pan to make the first layer. 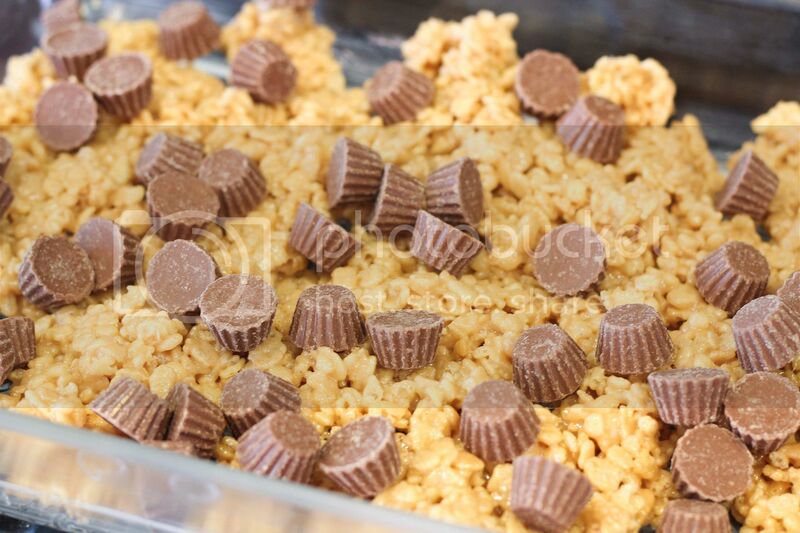 Then take the Reese‘s Minis out of the freezer and pour them on top of the first layer evenly. Then top with the rest of the cereal mixture and pat down to have a nice even surface. Microwave the chocolate chips for a minute or two until melted and then pour the chocolate over the top. 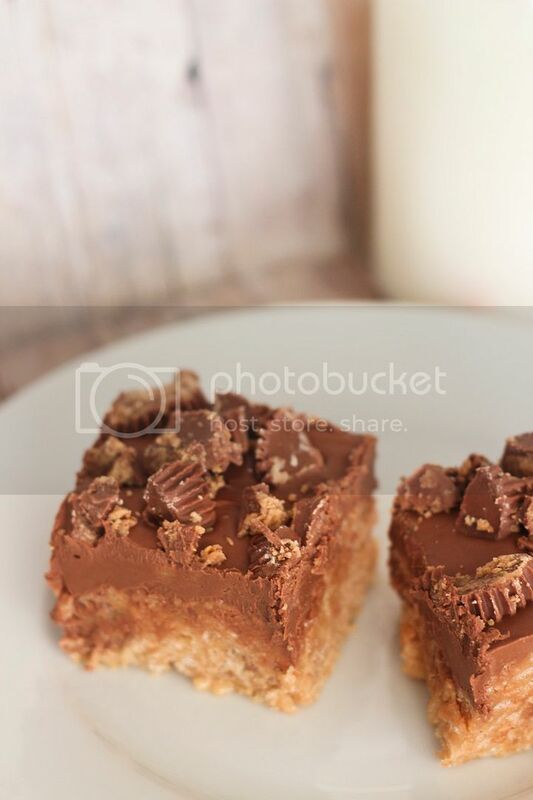 Top with chopped Reese‘s Peanut Butter Cups Miniatures. Refrigerate for about an hour before serving so it can set up. I helped create one of 32 fun REESE’S® recipes that can be found at www.ReesesBakingBracket.com. If you vote for my (or other recipes) will be entered for a chance to win a daily prize $100 Walmart® gift card! So please go vote!! That would help me soooo much!